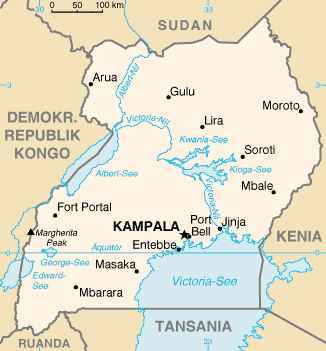 (Morning Star News) – A pastor in eastern Uganda is without his home, farm and church building after Muslim extremists armed with swords and clubs rampaged through his property on March 27, he said. The band of nine Muslims, who also carried blunt metal objects, were shouting the jihadist slogan “Allahu Akbar [Allah is greater]” as they invaded pastor Christopher James Kalaja’s land in Nakabale village, Kaderuna Sub-County, he told Morning Star News. Pastor Kalaja, of Agape Sanctuary International Church, reported the case to Kaderuna police, but officers initially took no action, he said. Unable to elicit any police help, the pastor on March 28 filed suit in Budaka District court, in which he listed the gang leaders as Dongo Patrick and Subairi Kasabu. The legal action prompted police to visit the site, and they then summoned the suspects, filing a case on March 28, he said. “Since then, I have been receiving threats that they will come for my life, that they will soon destroy me completely,” Pastor Kalaja told Morning Star News. Police have not arrested any suspects, he said. The first hearing in the court case was postponed on April 13 until later this month. Pastor Kalaja said that except for a cousin among the assailants, he does not personally know anyone in the gang that drove him from his home. Residents of the predominantly Muslim area opposed a church building under construction on his farm, but he said they have persecuted him for decades. Though forced to file a court case due to police inaction, Pastor Kalaja is not able to cover the costs of an attorney, he said. He and his family have taken refuge in the thatched hut of a friend. Pastor Kalaja has been leading his congregation of 86 members for 10 years. He said a similar attack took place in 2008. At that time the suspects were summoned to the sub-county headquarters of Kaderuna, and the Muslim leaders apologized for trespassing. “Things normalized, but this time round they are out to kill me,” he said. The destruction last month was the latest of many attacks by non-state figures on Christians in eastern Uganda. Uganda’s constitution and other laws provide for religious freedom, including the right to propagate one’s faith and convert from one faith to another.